The first results of ThinkTV’s $1 million study into TV advertising are in and suggest the broadcast channel provides the best return on investment for FMCG brands in Australia. 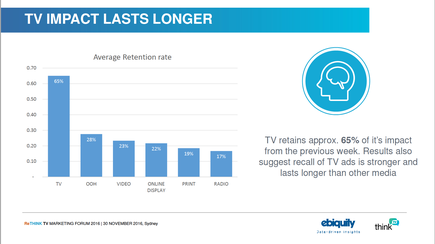 According to the findings of the new Payback Australia study produced by marketing analytics firm, Ebiquity on behalf of ThinkTV, every $1 invested in TV advertising is generating at return of $1.74. The report also claims TV to be the only media to have generated a positive short-term revenue ROI for the nine participating FMCG brands, including Unilever, Pfizer, Lindt, Kimberly-Clark, Goodman Fielder, Sanitarium and McCain. In contrast, the study claimed online video returned $0.72 for every $1 investment, while online display came in at $0.41. Print was the second-highest in terms of return at $0.79 for every $1, radio was $0.71 and out-of-home was $0.62. The results were based on three years of raw sales and campaign data from the nine advertisers, which spend $200 million on advertising each year. 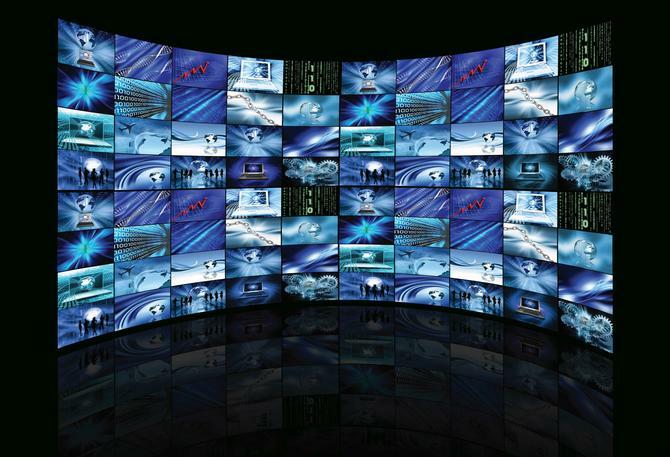 The study used econometric modelling to compare TV to other media types. Ebiquity also said TV retains about 65 per cent of its impact after the previous week, ahead of outdoor (28 per cent), online video (23 per cent), online display (22 per cent), print (19 per cent) and radio (17 per cent). ThinkTV announced its intention to kick off the $1m study in August as a way of quantifying the value and return on investment for TV advertisers. It comes off the back of Ebiquity’s work with TV marketing body, Thinkbox, on the effectiveness of advertising and different media channels conducted in the UK. That study looked at more than 4500 ad campaigns across 10 advertising sectors for seven years and found TV advertising to be twice as effective at creating sales uplift than the next best performing medium. “The marketers that we talk to are trying to drive growth in really challenging conditions,” commented ThinkTV CEO, Kim Portrate. “One of the few levers to grow your business is media. Advertisers in the consumer packaged goods industry – covering pharmacy, liquor and grocery – know the importance of retailer in-store promotions but they also know it comes at a cost and is short term. Think TV is releasing the results of its Payback research in three stages, with the first to be discussed at its inaugural ReThinkTV Marketing Forum in Sydney on 30 November. The second and third wave of findings are due for release in Q1, 2017.